According to the National Coffee Association, the number of Americans who grind whole bean coffee before brewing is 18% as of 2017. During the same year, researchers discovered that 10% of Americans grind whole bean coffee at the store. Today, as a homeowner, you can grind your own coffee at home. Experience the rich aroma- when you grind your own coffee beans, the aroma which is as a result of the natural oils is released during grinding. Tastes better – when you grind coffee beans, the beans react with oxygen and the natural aroma is lost especially when stored for later use. By grinding the required amount, you can enjoy better tasting coffee every morning. Take control of your coffee brew – unlike pre-ground coffee beans which may have lost their aroma during storage, grinding your own coffee beans means you will take control of how you brew coffee. Now that you have learned the benefits of grinding your own coffee, it’s time to upgrade and start enjoying a great cup of coffee every morning. Want to know everything about grinding coffee at home? Today, there are tens or even hundreds of brands out there manufacturing different models of grinders. Taking the time to select one is a daunting task especially if it’s your first time shopping. To help you unravel the mystery behind coffee grinders, we will highlight the different types of grinders available out there. This is one of the most common grinders found in American homes across the US. As a coffee grinder, it uses fast-moving blades to chop up the coffee beans finally creating coffee grounds for you. What you ought to know is that the amount of time determines how fine or coarse your coffee ground will be. Simply put, if you run the grind cycle faster or slower, you will have coarse or fine coffee ground afterward. This may lead to over or under extraction. For starters, if you run the grind cycle for too long, the blades will become hot and may scorch the coffee. As a result of the uneven chopping of coffee grounds, the final cup of coffee will have uneven flavor. This is because the small particles will be too small to contribute any flavor while other will be big for the efficient release of natural oils. When you start the grind cycle, the blades will generate a lot of friction. As a result, your coffee particles will start breaking down even before you begin brewing. The good news is that you can enjoy a great cup of coffee with a blade grinder. All you have to do is grind your coffee beans as late as possible. This should be right before pressing “Brew” on your machine or before pouring in water. By doing this, you will retain the aroma and minimize damage. Unlike Blade grinders, Burr grinders grind coffee by pulverizing or crushing the beans between two plates. This means the end result will be coffee ground of a uniform size. In addition, no heat will be generated and you will get to enjoy a great cup of coffee. Conical Burr Grinder – As the most expensive version of the Burr grinder, it produces high-quality coffee ground. It is able to achieve this as a result of two reasons. The first reason is that the large surface area allows the “burr” to pulverize or grind the beans resulting in uniform sized coffee ground. The other reason is that the grinder takes a bit longer finally producing the perfect results. Unlike the flat burr grinder, coffee beans are added vertically in a conical burr grinder. In addition, the conical burr grinder is easy to maintain. Flat Burr Grinder – the grinder has two burrs or discs which pulverize or smash coffee beans by pressing against each other. This results in a uniform grind. Unlike the conical burr grinder, the flat burr grinder is much cheaper. As you shop for grinders, you will find that there are manually operated models and electric models with automatic settings. When it comes to blade grinders, there are models with automatic settings. Depending on your brewing method, you can simply select the right setting and let the grinder go to work. When it comes to burr grinders, there are hand operated models and some are electric. Hand operated burr grinders are much cheaper and some models produce excellent grind for different brewing methods for instance drip, French press, pour over and AeroPress. 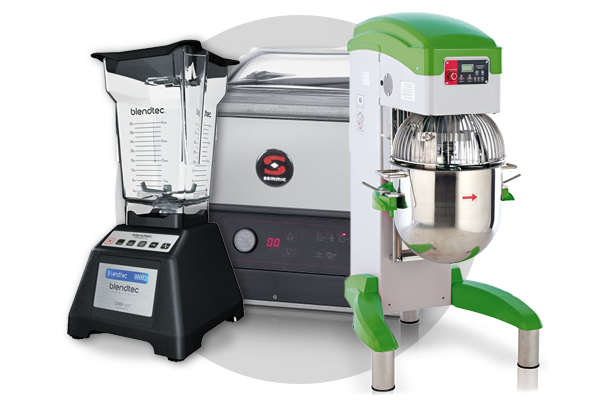 In addition, manually operated grinders take up less space in your kitchen, they are portable and have fewer parts which can malfunction or break. If you don’t have the time or patience to operate a manual grinder, buy an electric grinder. Although it’s expensive, it will save you on time and effort. In addition, it will produce high-quality coffee ground for all brewing methods. To help you achieve the desired results, we have highlighted the brewing method, the size of particles and time required to grind. It is important to know that different coffee brewing methods work well with coffee grounds of a particular size. The reason for this is that coffee is exposed to water at different periods of time and temperature. As a result, it affects the natural oils which in turn affect the aroma and flavor. To help you make the right decision when it comes to grind size, we will highlight the different types of grind size, how they should appear and the brewing method. Coarse – grind range should be 12 to 15 meaning the size of the coffee ground is similar to chunks of sea salt. This is because the particles are large and distinguishable. Great for a cold brew and French press. Medium coarse – grind range should be 10 to 12 meaning the particles are distinguishable and they are the size of coarse sand. Great for Chemex. Medium – this has the texture of table salt. Great for drip brewers. Medium Fine – grind range should be 8 to 9 meaning it has a finer and smooth texture than Medium sized coffee ground. Great for Pour overs. Very fine – the particles are very fine and it’s great for preparing Turkish coffee. There you have it – everything you need to know about grinding coffee. All you need to do is shop for the right grinder preferably burr grinder, buy coffee beans and grind depending with your preferred brewing method.